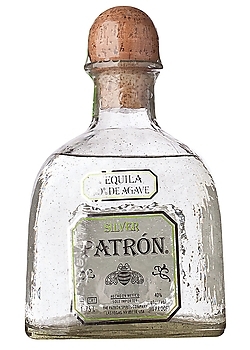 Patron Silver tequila is the perfect ultra-premium white spirit. Using only the finest 100% Weber blue agave, it is handmade in small batches to be smooth, soft and easily mixable. This light, crystal clear tequila with fresh agave aromas and hints of citrus, is perfect for margaritas and cocktails. It is also delicious neat or on the rocks.